July 24, 2018 (Toronto, ON) – The Canadian Country Music Association (CCMA) is eager to announce the second round of performers for the CCMA Legends Show: A Tribute to Yesterday & Today. The show is a memorable experience to witness award-winning country musicians paying tribute to some of Canada’s most admirable country artists. Hosted by Beverley Mahood, attendees will enjoy performances by Hall of Fame inductees who have made a mark on the Canadian country music scene alongside rising and current hit-makers. 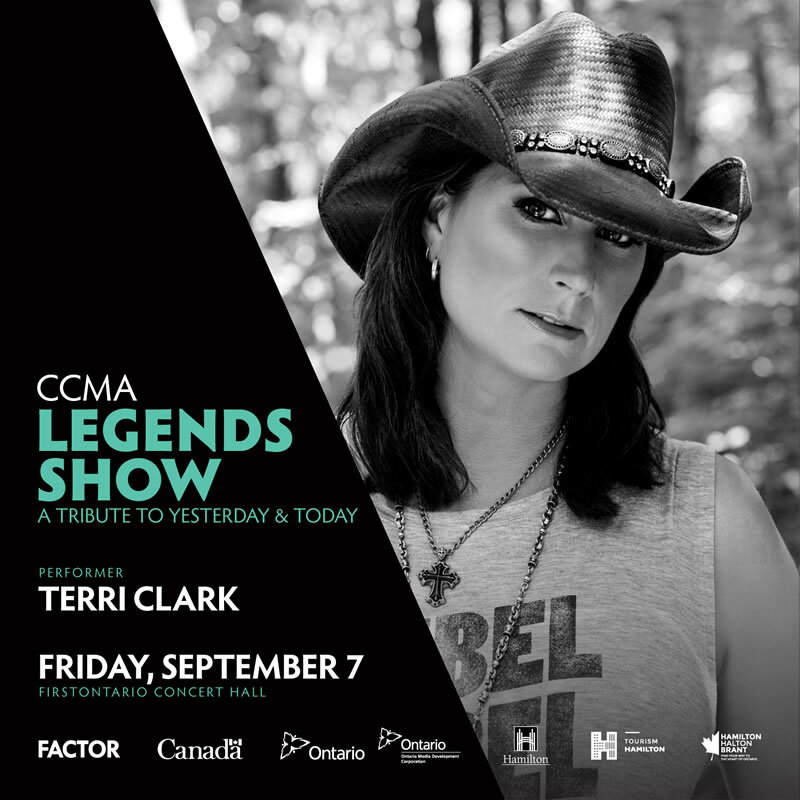 Announced for Friday, September 7, the Legends Show will now also include performances byChad Brownlee, 2018 Hall of Fame Inductee Terri Clark, Aaron Goodvin, Charlie Major, Jason McCoy and JJ Shiplett, and 2018 Spotlight Performance Contest winner Cory Gallant. These celebrated artists join previously announced guests Patricia Conroy, Russell deCarle, Beverley Mahood, Jess Moskaluke, Murray McLauchlan and Michelle Wright. “Paper Rosie” earned Harms a 1981 JUNO Award nomination (Country Male Vocalist of the Year), paving the way to him becoming an inductee to the Canadian Country Music Hall of Fame in 1989. Its induction into the Canadian Songwriters Hall of Fame will be celebrated with a performance by Jess Moskaluke and Aaron Goodvin in Harms’ hometown, Hamilton, ON, on Friday, September 7. Country Music Week 2018 will be held in Hamilton, Ontario, September 6 – 9. For more information on Country Music Week or the CCMA Legends Show please visit ccma.org.